Jack Wolfson D.O., F.A.C.C., from TheDrsWolfson.com is a board certified cardiologist who uses nutrition and supplements to prevent and treat disease. After ten years performing angiograms, pacemakers, and other cardiac procedures, Dr. Wolfson started Wolfson Integrative Cardiology in 2012 to offer patients the ultimate in holistic heart care. Raised in Chicago, he attended Midwestern University for his D.O. degree and completed a 3 year Internal Medicine residency and 3 year cardiology fellowship. He was selected as the chief fellow of his class. 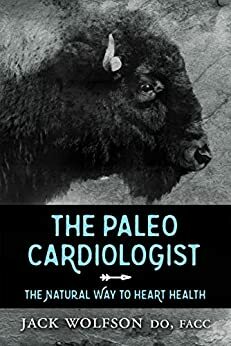 Listen in today as Jimmy talks with Dr. Wolfson about his Amazon Best Seller, The Paleo Cardiologist, his decision to pursue a more holistic approach to treating disease, his thoughts on the state of mainstream medicine and much more.